SPIRIT CONNECTION NEW YORK is a Metaphysical Healing and Learning Ministry, incorporated in New York State. 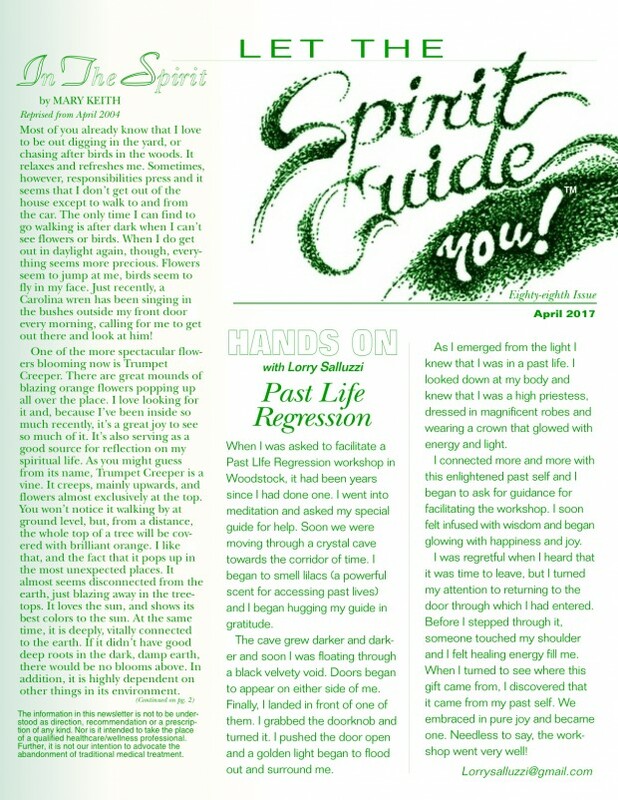 The APRIL issue of Let the Spirit Guide You!™ is availalbe in PDF form via email. We currently offer meditation/healing circles, classes, and workshops in Manhattan, in Bradenton, FL, and in Tampa, FL. (such as doctors, lawyers, or financial advisors). Ask for a PDF of our current newsletter!